Rugged feeder made of clear polycarbonate tubing. 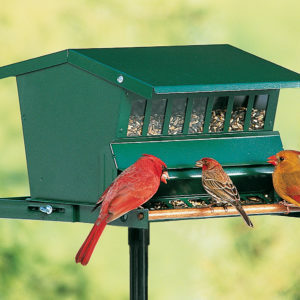 This Big Tube feeder is excellent for the most active of habitats. 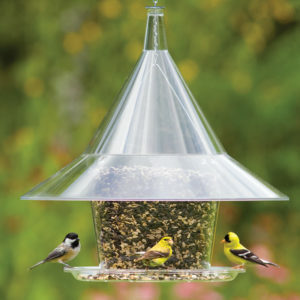 This rugged feeder is made clear polycarbonate tubing and a heavy die cast metal used in the top, bottom and in the six feeding stations as well. 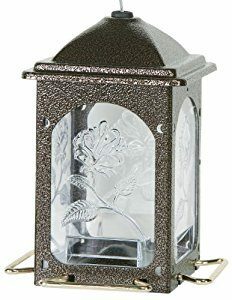 This is designed to reduce the risk of squirrel damage. 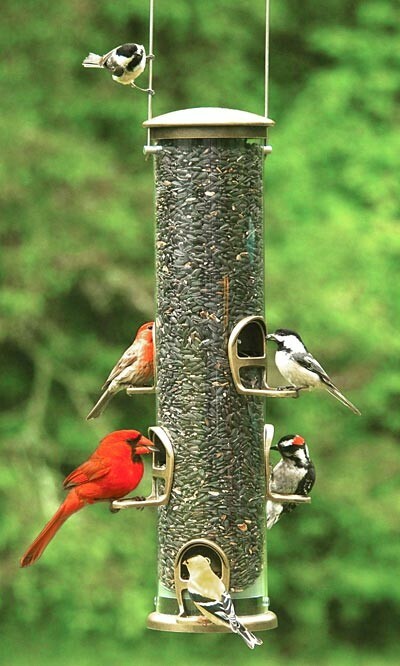 While this feeder is usually hung, it also features a thread base to be mounted on a post.